Looking for the #1 RE/MAX Agent in the Brookhaven neighborhood of Atlanta, GA? 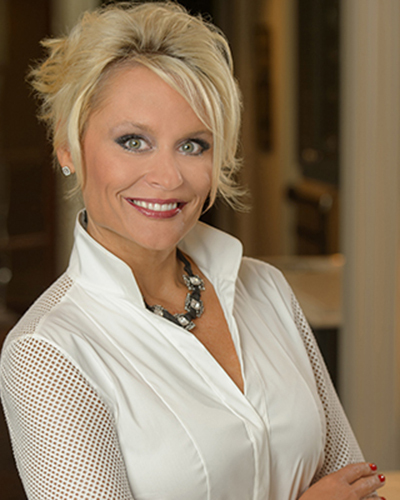 As a professional dynamo, Collette McDonald is widely recognized for her in-depth knowledge of the entire metro Atlanta real estate market. Her laser-sharp focus on the North Metro Atlanta area is renowned. Collette McDonald & Associates was named #1 REALTOR® Team with RE/MAX Around Atlanta from 2013-2018, and #1 Top Brookhaven, Sandy Springs, Dunwoody and Buckhead Real Estate Agent in 2013-2018. Over Collette’s career she has exceeded $300 million in sales. She has extensive TV and broadcast experience and continues to appear as a real estate expert for hit HGTV shows like Design To Sell, My First Place and Bang For The Buck. Collette is also often quoted in the local media, including the AJC, as an industry expert. From 2013-2016, Collette was also the Official REALTOR® of The Atlanta Falcons, helping players and staff find their dream homes in and around Atlanta. Collette’s direct, engaged and charismatic personality shines through in her work as a REALTOR®, local community advocate, television expert and small business owner. When you need intelligent and no-nonsense advice about buying or selling your home from one of Atlanta’s top REALTORS®, Collette is there for you.